You may be wondering why I attend? I was selected or invited (by a Muslim) to the group for the sole purpose of presenting or bringing to the table an evangelical theological perspective. This organization meets regularly in order to discuss or comment on topics (from their religious perspectives) pertaining to everyday living. The most recent gathering dealt with the theme or subject of the recent killings, plus injuring of innocent people in Boston, Massachusetts. Emphasis was not concentrated on who, what, where, and why someone would do this, but on how each of the above mentioned belief systems would respond if placed in a similar situation. In other words, what form of compassion or humanitarianism would they practice or implement in time of tragedy? In a group where absolute truth is irrelevant, it stands to reason why the subject of Jihad is overlooked and replaced with a less weighty topic. The goal of most ecumenical groups is to unify over commonalities and avoid doctrines that divide or cause disunity. The subject of sin and the depravity of man’s heart is not only avoided but denied. (That has been my experience in each of the meetings I have attended) My purpose for attending these meetings is to discuss absolutes and not to ignore or deny facts. It is a fact that the Quran teaches death to the non-Muslim. Plus, it is also commonly known among all faiths that the Bible describes the heart of all men as being desperately wicked. According to the Bible, “there is none who does good.” (Rom 3:12) So, it stands to reason that someone would address the obvious, because man is capable of doing good deeds, because at the core of his inner being is only evil. 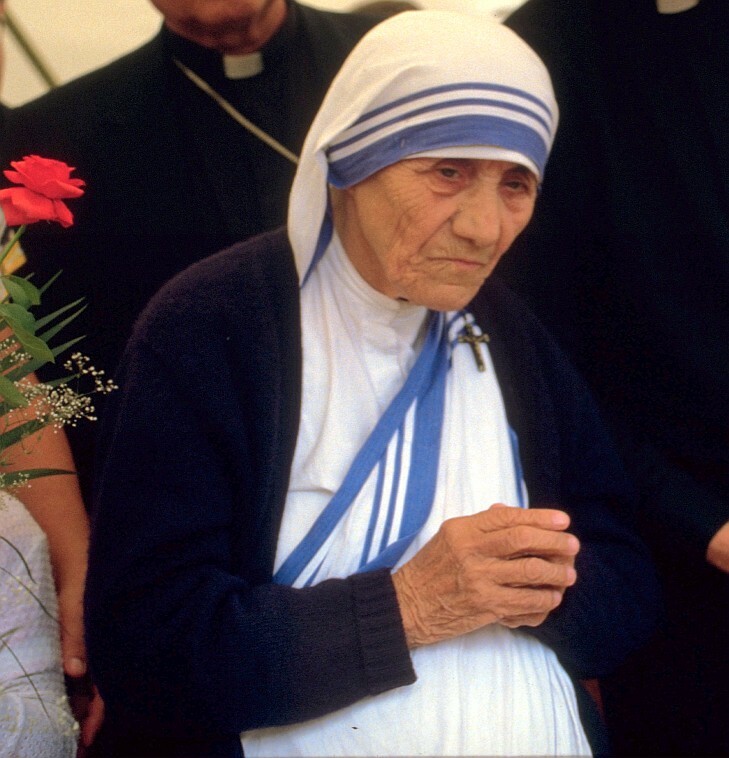 Let’s examine the nature or condition of man by examining a little known fact about the most recognized saintly women on the planet, Mother Teresa and her organization Missionary of Charity. An anonymous author writes in an article titled Hitting Bedrock, “…Says Susan Shields, former Missionary of Charity: As a Missionary of Charity, I was assigned to record donations and write the thank-you letters. The money arrived at a frantic rate. The mail carrier often delivered the letters in sacks. We wrote receipts for checks of $50,000 and more on a regular basis. Sometimes a donor would call up and ask if we had received his check, expecting us to remember it readily because it was so large. How could we say that we could not recall it because we had received so many that were even larger? Shields doesn’t suggest how much that might add up to, but Hitchens has it that there were at least $50 million in the New York bank account of the Missionaries of Charity, and figures that, this being but a part of the organization’s wealth, there must be several times more all told. So let’s place the MoC’s wealth in the 9-10 figure range. Now, it would not be correct to say that all this money belonged to Teresa. I take it that she herself owned next to nothing. I’m just saying that she controlled this money. It didn’t belong to her personally, but, if she’d really wanted, she could have used it, on behalf of her organization, to buy all sorts of medicines, pay all sorts of trained medical personnel, and maybe even keep her facilities stocked with clean new needles on a regular basis. You may be able to guess what’s coming up next. Fact: Mother Teresa used only a tiny fraction of that money to improve the lives of the sick and the poor. Shields continues: We received touching letters from people, sometimes apparently poor themselves, who were making sacrifices to send us a little money for the starving people in Africa, the flood victims in Bangladesh, or the poor children in India. Most of the money sat in our bank accounts. The donations rolled in and were deposited in the bank, but they had no effect on our ascetic lives and very little effect on the lives of the poor we were trying to help. Well, who cares about the lives of the nuns: they got what they signed up for, right? That bit about the poor, though, that’s a little worrisome. Here are some examples of how the MoC failed to spend its money. Shields gives one: in Haiti, “the sisters reused needles until they became blunt”. Out of the MoC’s bloated bank accounts, no money could be spared for new needles. Likewise, in an article in the British Medical Journal (a review of Hitchens’ book), Mary Loudon reports visiting the MoC’s facilities and seeing “syringes run under cold water and reused, aspirin given to those with terminal cancer, and cold baths given to everyone”. No money for oncological care beyond aspirin, no money for hot water, and, again, no money for new syringes, or even proper sterilization for old ones. Therefore, when God says, “There is none who does good” He bases this scripture verse not on ones actions but His knowledge of the human heart. This article as well as the incident in Boston only stresses the importance of being born again. The Lord promised that He would place into those who believe in His Son a new heart that would give regenerated human beings the ability to demonstrate genuine compassion that will allow them to demonstrate good works. “For by grace you have been saved through faith and that not of yourselves it is the gift of God; not as a result of works, that no one should boast. For, we are His workmanship created in Christ Jesus for good works which God prepared beforehand, that we should walk in them.” (Ephesians 2:8) Salvation is the catalyst to good works and evidence of being born again is that a believer serves others. His or her sanctification has been designated with kindhearted actions before time began. Therefore, the logical starting point of our conversation would not be to ignore the truth of God’s Word but to address the topic of sin and it’s resolve through the gospel of Jesus Christ.